There are plenty of great reasons to join the Coregas team. Take a look at some of the great employee benefits on offer. Coregas is part of the Wesfarmers Industrial and Safety team of over 4,300 employees in Australia and New Zealand and also part of Wesfarmers Limited, which is one of Australia's largest listed companies and employers. At Coregas we offer Personal Development Plans which outline important key performance indicators and measure performance throughout the year. This allows the employee and manager to agree on appropriate targets and discuss potential development areas, then agree on review dates. 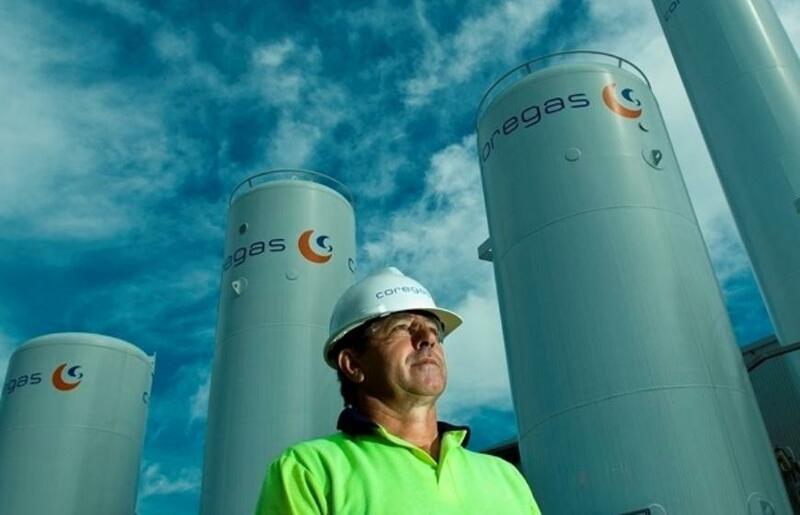 All of our Coregas and Wesfarmers Industrial and Safety businesses advertise our vacancies internally to provide our employees with the opportunity to keep their career moving forward within the Group. All permanent employees within Coregas have the opportunity to apply for educational assistance prior to enrolling in a course. This is available to support our employees undertaking formal study to further their development. At Coregas we offer market competitive salary packages. All permanent employees are eligible to participate in one of our incentive schemes which reward outstanding performers in the business. We acknowledge employees are at different stages of their lives and where possible we offer a range of flexible work arrangements that will help you achieve that desired work/life balance. Whether you are an experienced employee seeking a more appropriate work/life balance, transitioning to retirement or a parent returning to work, there are a range of options to suit you. Coregas believes in celebrating the achievements of our employees and this is why we have our quarterly KOI Awards and annual Wesfarmers Industrial and Safety Awards, as well as our other reward and recognition programs. These programs are designed to reward employees for outstanding performance and behaviours demonstrated in the workplace. Our employee engagement survey is an opportunity for our business to gather important feedback regarding our values and company strategy. The survey gathers the current views of our people and gauges whether opportunities for further improvements are possible. Once we collect the survey, we workshop the results with our team and develop proposed actions to address the areas for improvement. Suggested actions are then taken into consideration in the development of key business initiatives to address the feedback from the survey. The Employee Assistance Program (EAP) provides assistance through short-term professional counselling and consulting for employees and members of their immediate families who face problems of a personal, family related or employment nature. The EAP offers confidential and professional assistance, is voluntary and is free of charge to the employee. Coregas has committed to diversity awareness and creating a focus in the workplace. As a member of the Wesfarmers Industrial and Safety Group, Coregas is supportive of and committed to the WIS Aboriginal and Torres Strait Islander Strategy and within our area of influence and means to effect change, we make genuine efforts to contribute to the goals through practical efforts which can result in positive sustainable benefit. Coregas contributes to a number of local community programs and activities. We encourage and support the participation of our employees in community events that support various charities.